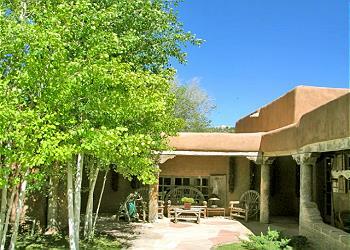 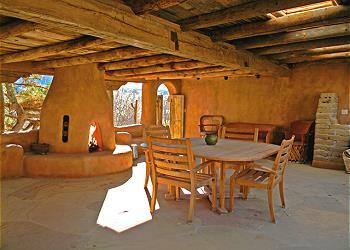 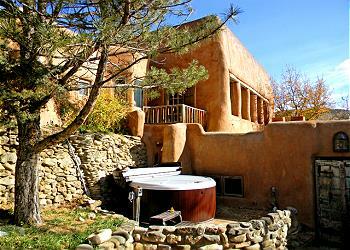 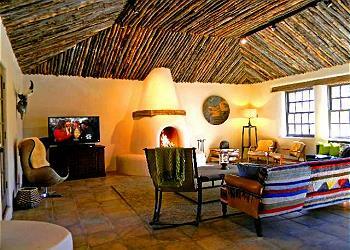 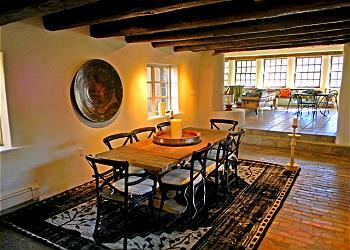 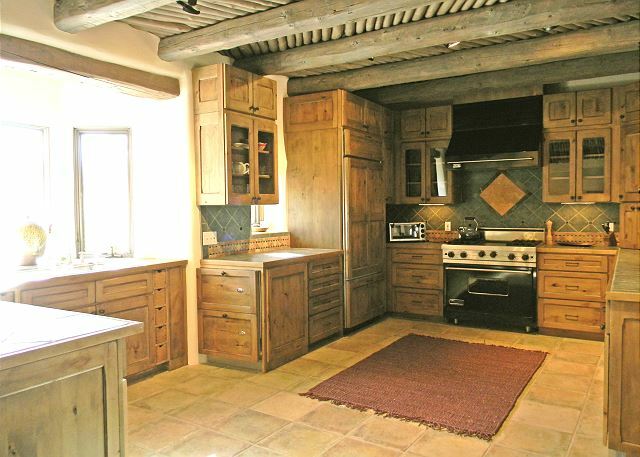 Historic (1790) walled adobe hacienda 6 miles south of Taos Plaza. 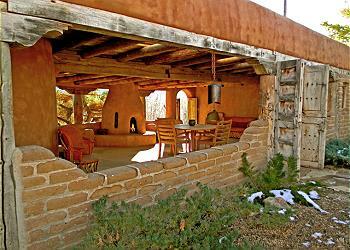 The earliest Hacienda along the historic Camino Real. 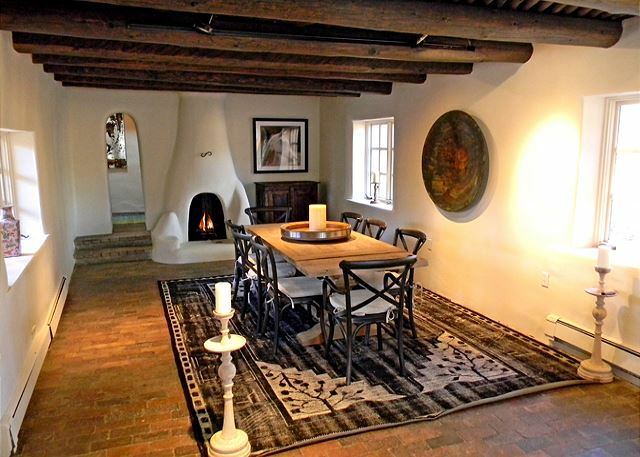 Built in 1790 the historic Adobe Hacienda was the first Hacienda ever to be built along the famous historic Camino Real roadway from Mexico. The magnificent compound offers a grand and rare lodging opportunity for large groups (up to 15) with 3 very separate attached units all divided by 18" to 24" thick adobe walls insuring absolute sound privacy. The enormous great room with adjoining sunken dining room and gourmet kitchen is one rare find for gathering your group for social activities and visiting. 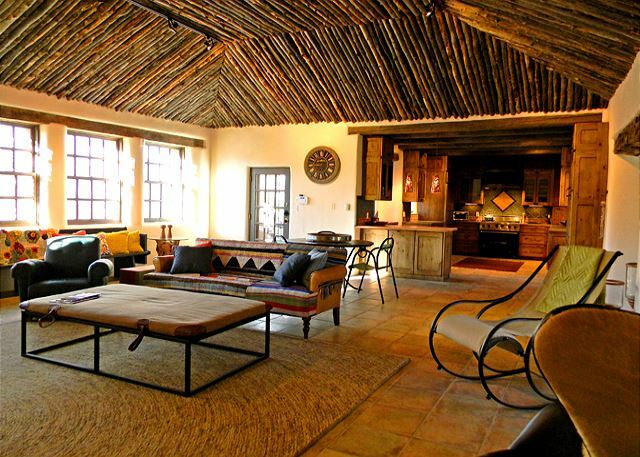 The dramatic 20 foot latilla (aspen branches) ceiling is awe inspiring and one that guests will most likely never see anywhere else again. 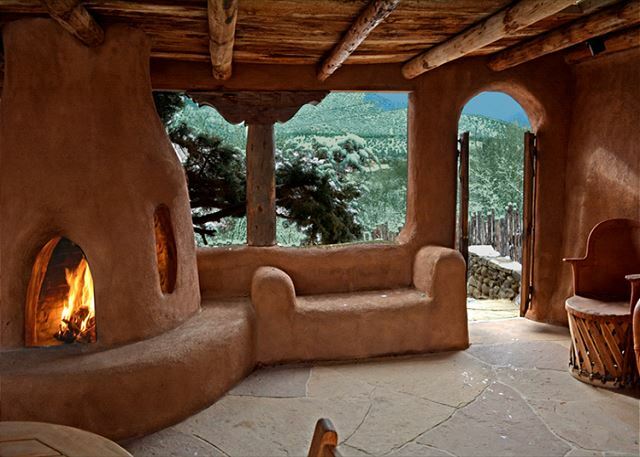 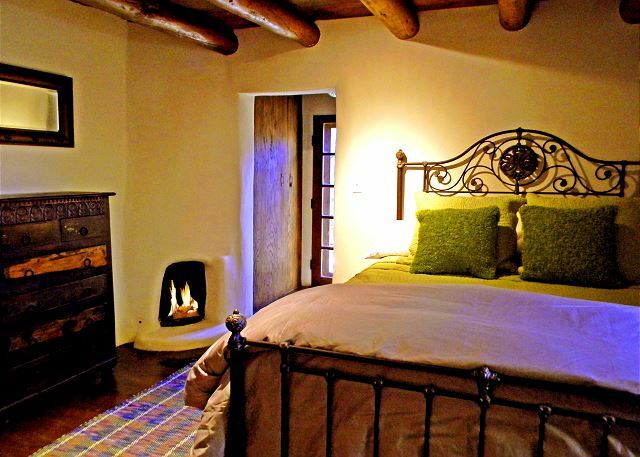 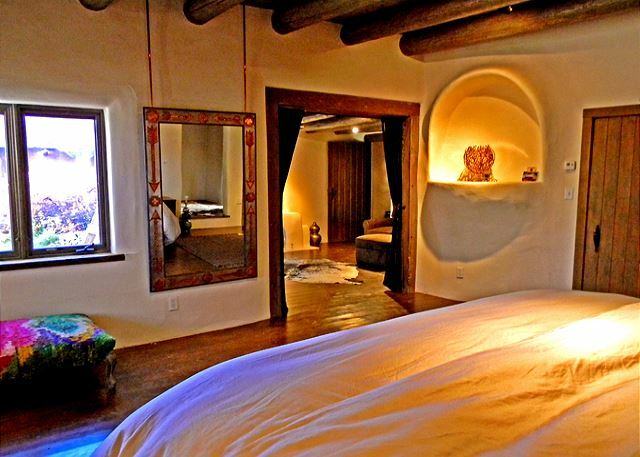 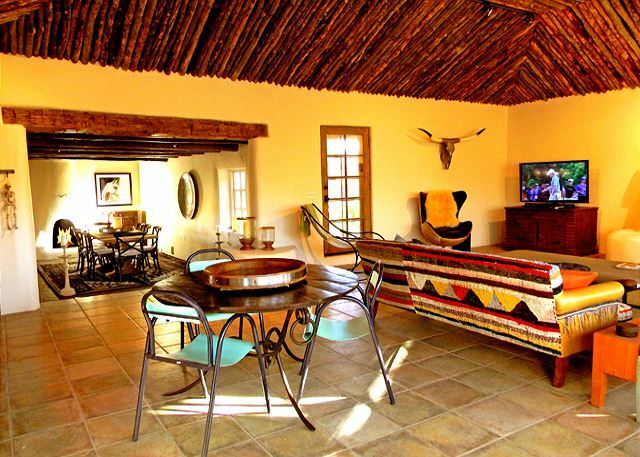 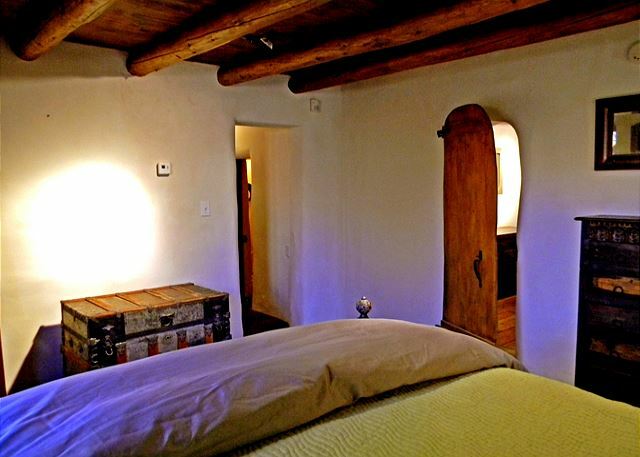 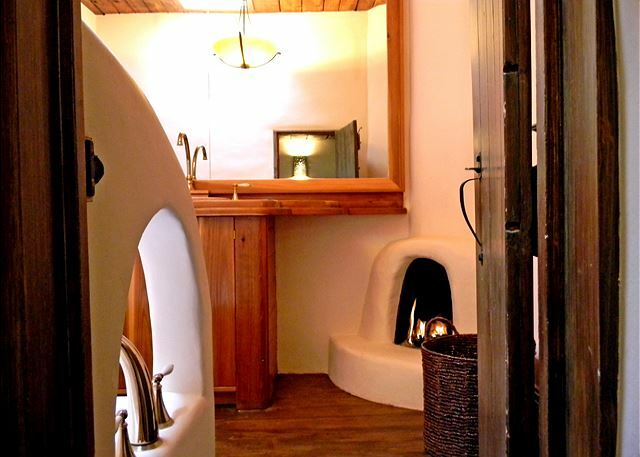 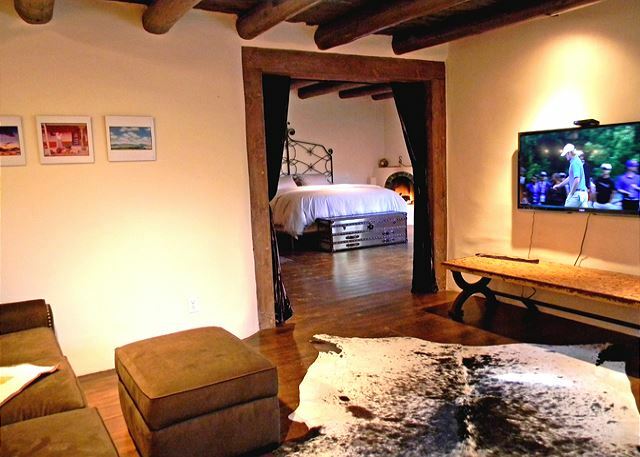 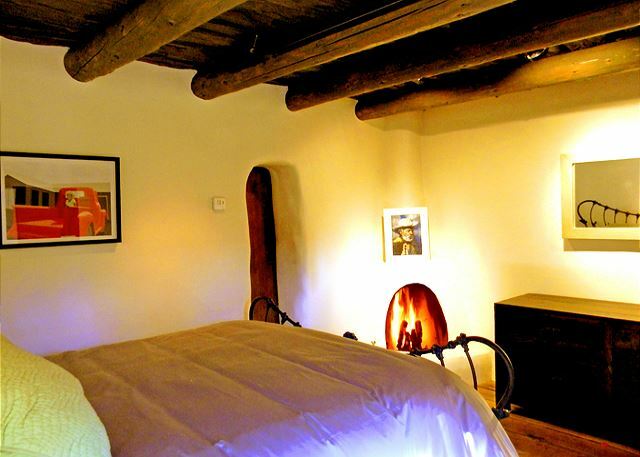 A heavy velvet drape provides visual privacy between bedroom and den and each have their own original historic hand crafted adobe candle burning kiva fireplace offering serene ambiance. 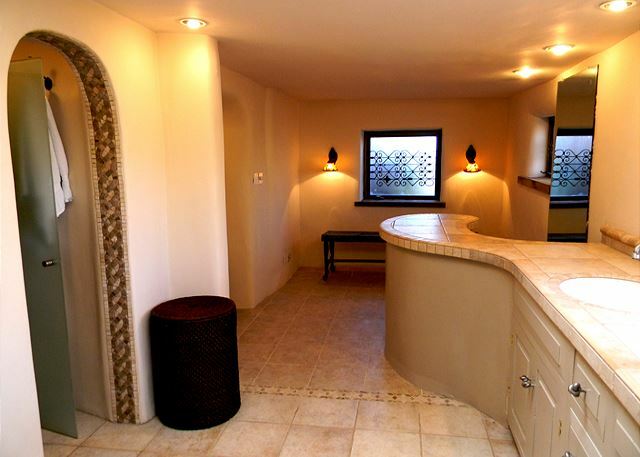 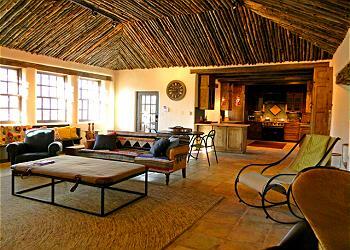 As all bedrooms at the Hacienda, the master suite has its own private patio for "getting away and having down time. 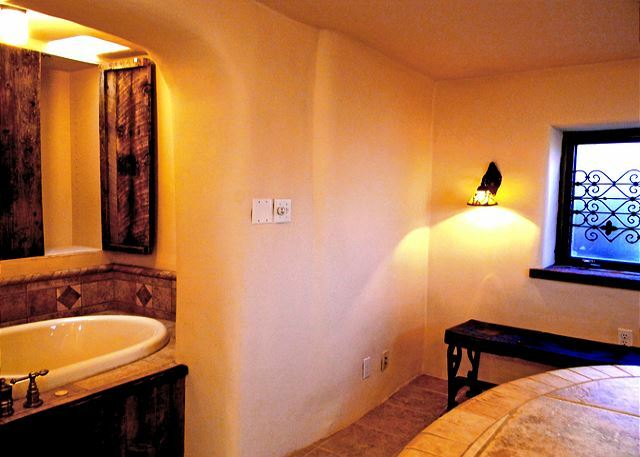 guest room has access 3 steps away to its own sink, commode and tub only bathroom. 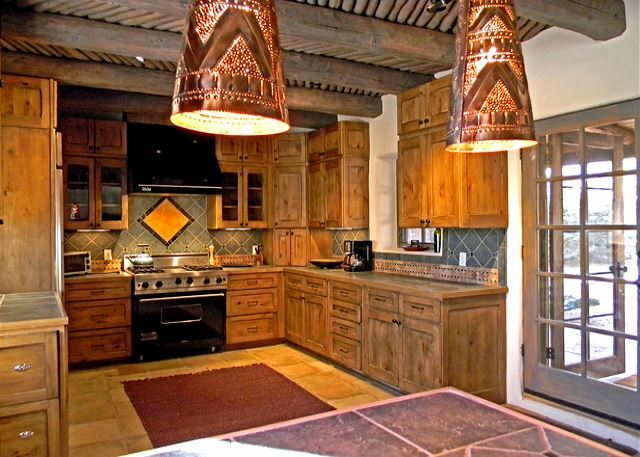 Meal preparation and dining are a joy year round between the large living / dining great room for inclement weather and the huge outdoor courtyard and portal (covered patio) with authentic southwest wood burning fireplace and gas grill. 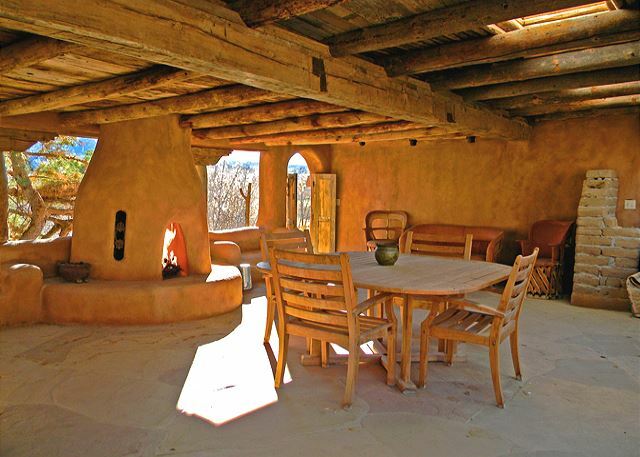 Bring your group to Adobe Hacienda for a rare lodging opportunity and add to the charm and wonder of their total Taos experience. Room Description: Sleeps 10, with 6 in beds, 2 on den sleeper sofa and 2 small children on living room sofa top. 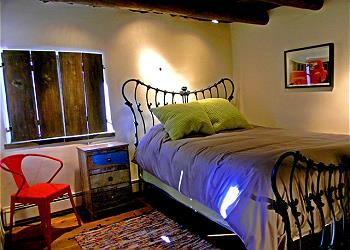 (optional guest house and additional studio can sleeps 5 for a total of 15 guests).